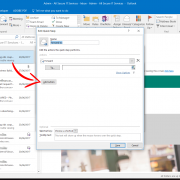 Have you ever notice that little bar in the middle of your Outlook ribbon and wondered what heck is it good for? By default probably not that much for but little tweaking and you can use it for quite a few things! If you get lot of same emails that require constantly similar action, you can help yourself by creating actions that will do most of it for you. I do not aim for ‘zero email mailbox’ as I think it is a waste of time but I do like to file certain emails from clients, vendors and so on so they are all in one place. 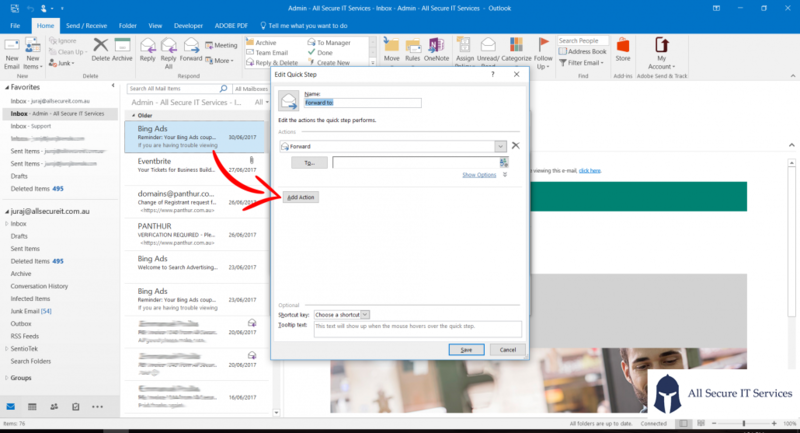 Learn how to make your life easier by creating quick part that will forward and file your email in one click! Check the 20 seconds video tutorial below!